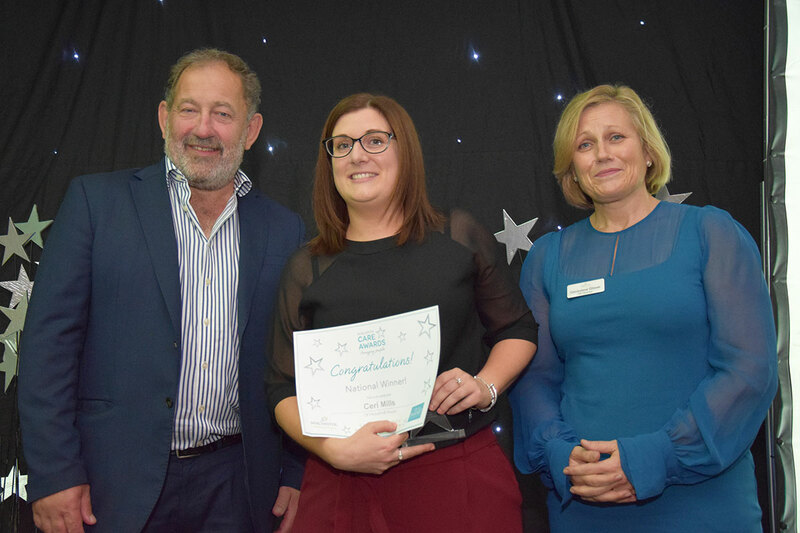 Ceri Mills receives her Apprentice of the Year award at the annual Barchester Care Awards. From left to right, Pete Calveley, CEO of Barchester, Ceri Mills and Genevieve Glover, HR Director. Barchester was recently accredited as one of the best companies to work for in the UK by the Best Companies b-Heard Survey. Recognised as a leading employer in five regions throughout the UK, South West, South East (London Big), North East, Midlands, and East of England, Barchester was accredited with 1 star, and were the only care provider in the UK to do so. Employees at different levels throughout Barchester were asked to complete the Best Companies b-Heard Survey anonymously, and had to score 70 statements on a 7 point scale from ‘Strongly Disagree’ to ‘Strongly Agree’. The results were then calculated against the 8 Factors of Workplace Engagement, and Barchester Healthcare ranked as one of the best in 5 of the 10 regions throughout the UK. An accreditation from Best Companies sends a powerful message that people in the organisation feel valued and motivated. Barchester were given a 1 Star accreditation from Best Companies, which recognises a significant achievement from an organisation taking workplace engagement seriously, with ‘very good’ levels of workplace engagement.